This information is updated every 15 minutes. The Washoe County Sheriff's Office is not liable for any erroneous information on this site. This may not be a complete list of in custody inmates. 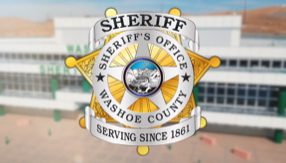 If you feel that the person you are searching for is in custody and cannot be located with this search, please contact the Washoe County Detention Facility at 775-328-3062. You must enter at least the first five letters of the inmate's last name.